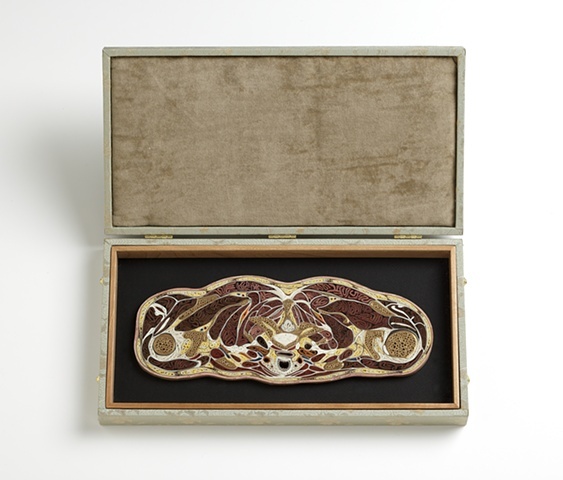 This piece represents a cross section through the shoulders. The white spinal cord is visible within the gold vertebra. The two circular shapes directly below the vertebra are the esophagus and trachea.